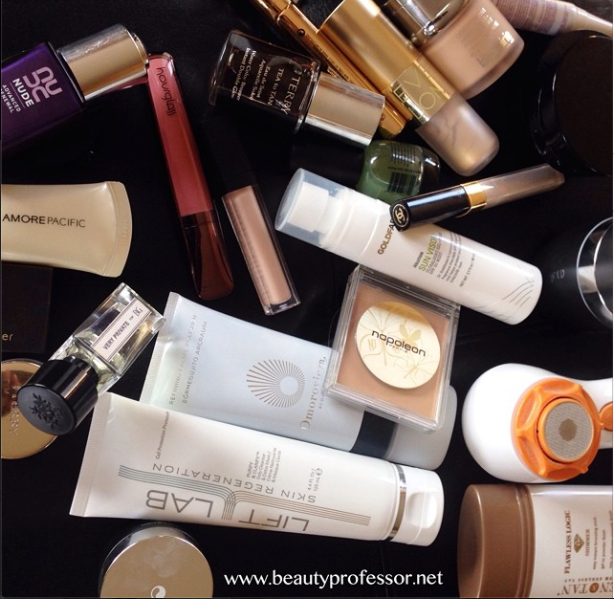 Beauty Professor: Video Overview: June 2014 Favorites! Above: A mere sampling of the products covered in my video. Hello, dear readers, and happy cusp of the 4th of July weekend! I am excited to share my June Favorites video...be forewarned, this is a bit lengthy (many brilliant beauty discoveries last month) and I have it split up into skincare and beauty (which begins at about the 14.40 mark). Bottom Line: Thanks so much for watching! June was a month of incredible product procurement and I truly hope you enjoyed this video overview. What are some of YOUR favorite products from the month of June?